One of the hardest things for me to deal with when it comes to my exercise routine is to step away from it when I’m sick or injured. Well, I don’t want to lose the gains in muscle mass or endurance that I’ve worked so hard for. Logically speaking, I know that a few days or even a week or two off isn’t going to make that much of a difference for anyone’s fitness. It still isn’t fun to be stuck on the sidelines, though. Sitting still all day makes me feel jumpy. I’m not used to all of those hours of sticking to the same few positions. Normally I use stuff like weightlifting or dance videos on Youtube to burn off that extra energy, but there are times when that simply isn’t possible. All of this quiet gives my thoughts too many chances to get jumbled up as well, and that’s a problem. My favourite thing about exercise is how effective it is at clearing my head. Not only does it brush away worries, it gives both your mind and your body a chance to set a goal and achieve it in a short amount of time. Whether the goal was to lift a specific amount of weight or take a brisk walk for half an hour, that sense of accomplishment is delicious. There aren’t many other areas in life where this can happen so quickly. With that being said, rest is an extremely important part of the healing process. How much rest time is needed depends on what kind of problem you’re having, of course. When I had a lung infection a few years ago, I slept a full eight hours each night and still needed long naps in the afternoon in order to have enough energy to stay awake in the morning and evening. Even the most gentle exercise was out of the question for me then until the antibiotics started working and I stopped coughing so much. 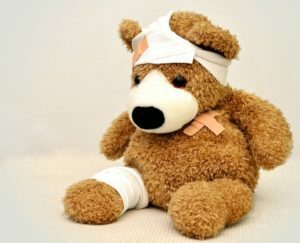 Not every injury or illness is like this, of course, which brings me to the meat of this post. Walking is by far my favourite way to stay at least minimally active when I’m healing as long as it’s not anything as draining as that lung infection. What I like most about walking is that it’s low-impact, doesn’t require any special equipment, and can be customized to what your body can actually handle as its healing. A quiet stroll counts even if it doesn’t make you break a sweat or raise your heart rate much at all. Staying or getting back into the swing of things is a completely acceptable and worthwhile goal. There will be plenty of time later on to actually try something challenging again. Even a leisurely walk helps me to clear my mind. Toronto is a such a large city that there’s almost always someone or something interesting to see as you stroll. Figuring out funny or interesting backstories for them is a wonderful distraction along with the gentle exercise. I’ve also found that symptoms ranging from mild pain to nasal congestion become a little less bothersome after a walk. While I don’t know if this is psychosomatic or if there’s something about getting up and moving around that actually helps people feel better, it’s nice to have the edge taken off of certain symptoms for a while. I hope that this idea works for you, too, the next time you’re too unwell to finish your normal workout.